Looking for a holiday classic to watch this year? 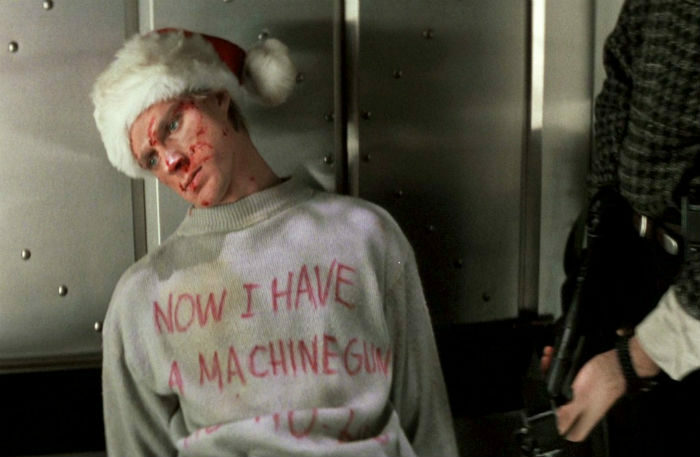 Here’s our list of 10 Reasons why ‘Die Hard‘ is a Christmas Movie. It’s that time of year again when families sit in front of the fireplace and watch Christmas movies. From It’s a Wonderful Life to Miracle on 34th Street, more about there are plenty of family-friendly holiday films out there. However, there are also some Christmas movies that are geared towards adults. Die Hard is one of those films. There are some who argue that this 1988 blockbuster isn’t a Christmas movie but the evidence suggests otherwise. With that in mind, here are 10 reasons why Die Hard is a Christmas movie. 1.) The Date: The entire movie takes place on Christmas Eve. From the movie’s opening when John McClane (Bruce Willis) lands in Los Angeles to its end when John boards a limo with his wife Holly (Bonnie Bedelia), the movie’s setting is clear. Everything that happens in this movie takes place right before Christmas and there’s plenty of talk about the upcoming holiday. 2.) Family coming together for the holiday: The film’s premise is that John has traveled from New York to Los Angeles to be with his family. After Holly moved to LA six months earlier for a business opportunity, this is (presumably) the first time he’s come out to see her. The reason for the visit is clear early on: he wants to be with his family for Christmas. 3.) Setting of the film: If the connection to the holiday isn’t clear from the get-go, John reunites with his wife at her company’s Christmas party. Admittedly, the party is being held for both the holiday and the fact that the company just landed a big account but one presumes that the festivities would’ve taken place even without the new account. 4.) Focus on presents: Many Christmas films oftentimes mention gifts or holiday presents. In the story’s opening moments here, John arrives at the airport with an overstuffed bear as a gift. In a later scene, it’s suggested that John’s daughter wants one big thing for Christmas: her father. During a phone call, Holly is asked by her daughter if Dad is coming home. Holly responds, “We’ll see what Santa and Mommy can do, okay?” There’s a clear implication here that McClane’s children are hoping that Santa brings their Dad back for the holiday. 5.) Soundtrack: Christmas movies don’t need holiday-themed music but this one offers them time and again. 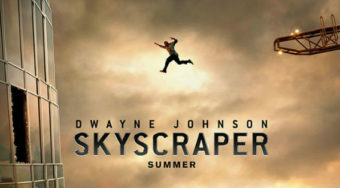 According to IMDB.com, the soundtrack of this film includes numerous favorites including Winter Wonderland, Jingle Bells, and Let It Snow! Let It Snow! Let It Snow! Ironically, there’s even a discussion here about whether Run DMC’s song Christmas in Hollis qualifies as a Christmas song. 7.) “Now I have a machine gun. 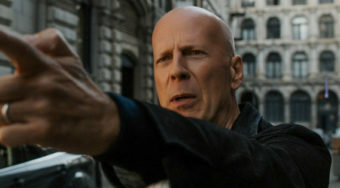 Ho Ho Ho:” A turning point in the story occurs after McClane confronts Tony (Andreas Wisniewski), one of the terrorists. John kills Tony and sends his body down the elevator with a clear message to Hans. Along with a Christmas hat adorning his head, Tony’s sweatshirt reads the following “Now I have a machine gun. Ho-Ho-Ho,” a clear Christmas message. 8.) Repeated discussion about Christmas: In addition to the holiday music and the talk about miracles, there are plenty of other references to Christmas in this film. From Theo mockingly reciting the opening verses of ‘Twas the night before Christmas” to McClane and limo driver (De’voreaux White) discussing Christmas music, there are dozens of references to the holiday in the dialogue alone. Additionally, at the end of the film, McClane uses Christmas wrap (that reads “Season’s Greetings”) to hide the gun he uses to shoot Hans and Eddie (Dennis Hayden) in the film’s climax. 9.) Statement about commercialism versus family: One of the overriding dichotomies in this film is between hero John McClane and villain Hans Gruber. Hans is a rich entitled criminal with expensive taste in suits and John is a New York police officer who spends much of the film running around in an undershirt. Holiday films often feature rich villains (Scrooge and Mr. Potter, to name a few) pitted against men of more humble means and Die Hard fits easily into that mold. 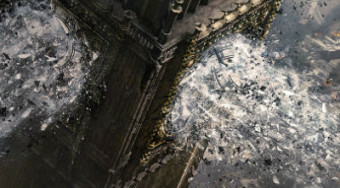 In fact, the climactic scene at the end of the movie finds John holding onto Holly as Hans (who is hanging out of the window) holds onto Holly’s watch. The watch (a symbol of financial success) is the only thing between John and Hans and it’s only when John unstraps the watch that Holly is freed from the materialistic Hans and she falls back into the arms of the middle-class hero. 10.) A Christmas Conclusion: Christmas films often offer happy endings for viewers and in that regard, Die Hard is no exception. The film ends with John and his wife Holly (who uses the name McClane again in the film’s closing moments) reuniting. The couple head into the limo with John and Argyle wishing each other a Merry Christmas. “If this is your idea for Christmas, I’ve gotta be here for New Year’s,” the limo driver notes in the film’s last line. As the credits role, the classic holiday song “Let It Snow! Let It Snow! Let It Snow!” begins to play.